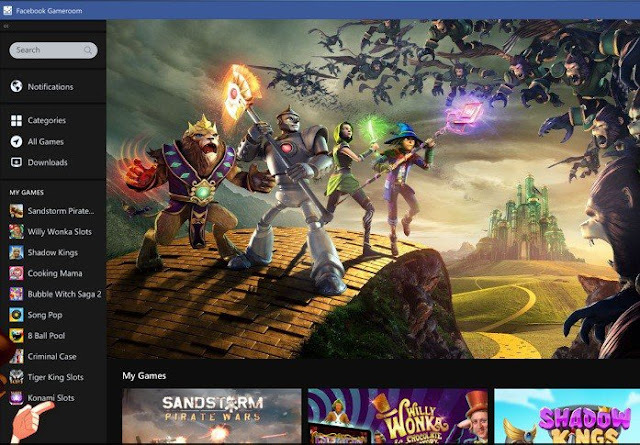 Facebook is apparently very serious in entering the gaming business as it recently launched Gameroom, its very own game portal that provides a plethora of online and downloadable PC games. "From shooters to strategy, builders to bingo, find your game in Gameroom, designed for PC gaming". Though currently only available in beta version for app developers, game enthusiasts are able to install Gameroom for free and play the games available in the portal library. As reported by kompas.com, users are only required to have a computer desktop or laptop with the Windows 7 operating system and above. It is still unknown whether Facebook will release a version for OS X users. Gameroom will compete closely with Steam, a platform developed by Valve Corporation that also consists of various games. Steam reportedly has more than 125 million active users.